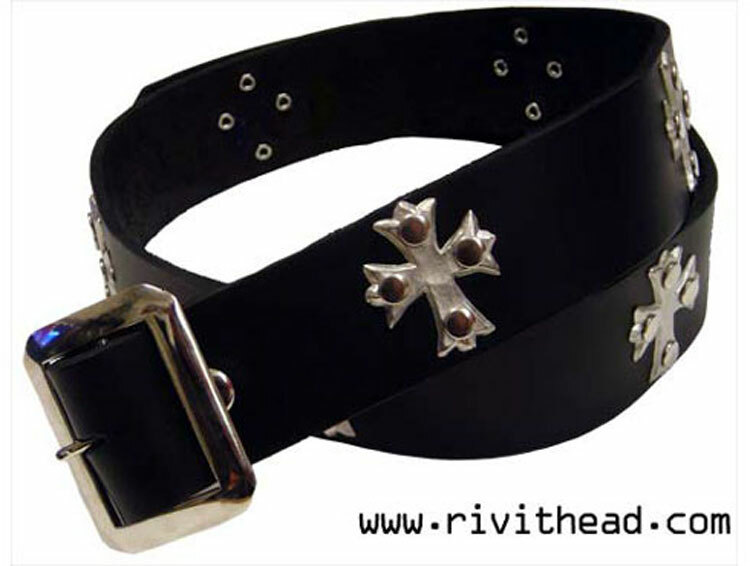 Leather belt covered in metal riveted Florentine crosses. 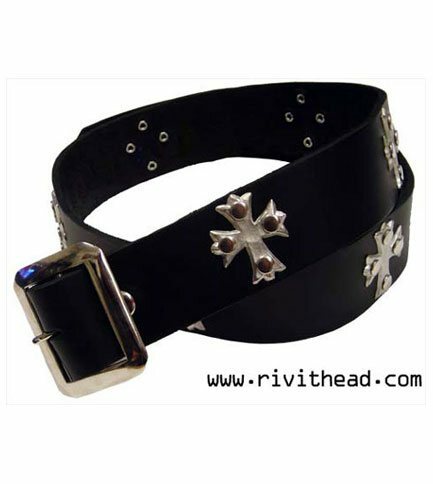 Measures 1 3/4 inches wide and has a removable belt buckle. Adjusts by 5 inches at 1 inch increments. Made in the USA. I'm very pleased with the product and with the service. I received the belt fast and in time to wear in a show. Great job.